Go Back to The LookUpStrata Site. How Can You Promote Your Strata Service Business Effectively? We can help – with our highly targeted audience, a mix of people living in strata or working within the strata industry. We have a range of cost effective options available. Request more information. Join our growing list of industry leaders who have become site sponsors. We have a range of advert sizes, positions and price points available. By concentrating solely on strata information, we offer you access to very specific, targeted traffic. Reach your audience right where they are searching. Our highly engaging Strata News goes out to thousands of Lot Owners and Strata Industry Leaders each Wednesday morning. Subscribe now﻿! We have a main Newsletter Sponsor for each edition. These spots are highly sought after. We now have a limited number of banner adverts available in our Strata News publication each week. These banners are perfect for specials, promotions or product launches. Get results quickly and easily. 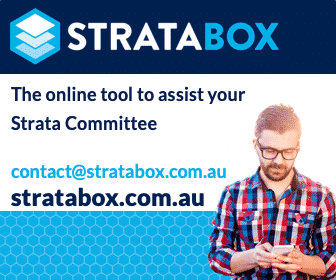 Request a listing in the Australian Strata Services Directory – the only Australia Wide Strata Services Directory created for strata managers, lot owners and committee members. Standard Listings are FREE, and Premium Listing include additional ‘Stand Out’ features PLUS a specific Promotional Package – all for only $150 (+GST) per year! Become a contributor to the LookUpStrata Blog. We have over 1000 strata information articles, making us the LARGEST Strata Information site in Australia. We publish and promoted articles well across our social media channels and in our weekly newsletter, all for FREE!